Lately we’ve been getting a tremendous amount of traffic for our Diablo 3 coverage. (I can’t imagine why…) Now, we’re proud of what we’ve got, but it was never our goal to be your one-stop shop for all things Diablo. 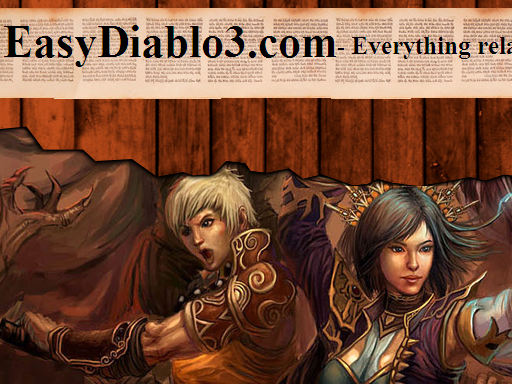 We’ll continue to keep you apprised of vital tidbits here or there, but if you’ve got a craving for up-to-date, in-depth coverage, might we suggest easydiablo3.com. Rather than the spread of coverage you’ll find here, they are laser-focused on Diablo. News on patches and updates? Check. Themes and artwork for everything from your desktop to your iPhone? Check. They’ve even got book reviews and guide reviews to keep you pointed at the best of the best. Want an idea of the sort of unique content they’ve got? Check this out. So, if you want the latest on indie devs, major studios, and random nonsense? Keep it here. If you’re interested in a heaping helping of dedicated Diablo 3, give them a try.